The city of Maiduguri, Borno has been hit by several bomb blast on Wednesday evening. Government Area on the outskirts of the Borno State capital. 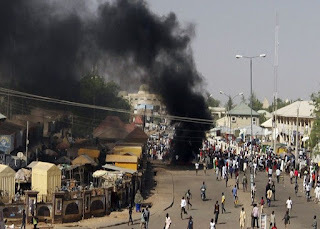 The attack at Muna garage area in Borno State show that suicide bombers attacked a mosque during magrib (sunset) prayer. At the time of publication, the number of casualties had not yet been confirmed.